GET THIS NEW 2019 POLARIS SPORTSMAN 570 EFI WITH EPS LOADED AND READY FOR WINTER NOW FOR $ 8,095.00 AT DAVIS MOTORSPORTS IN DELANO. Manufacturers MSRP on this ATV is $ 7,799.00 + $ 415.00 freight. 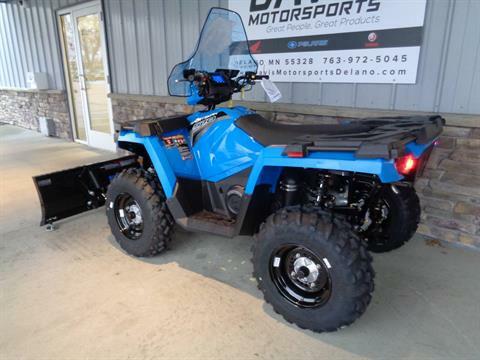 Accessories as listed have an MSRP of $ 1,366.93. 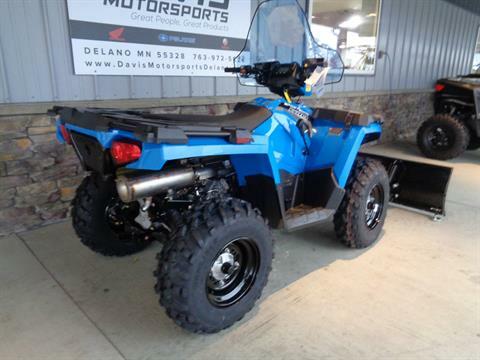 This ATV is loaded and ready for winter!! 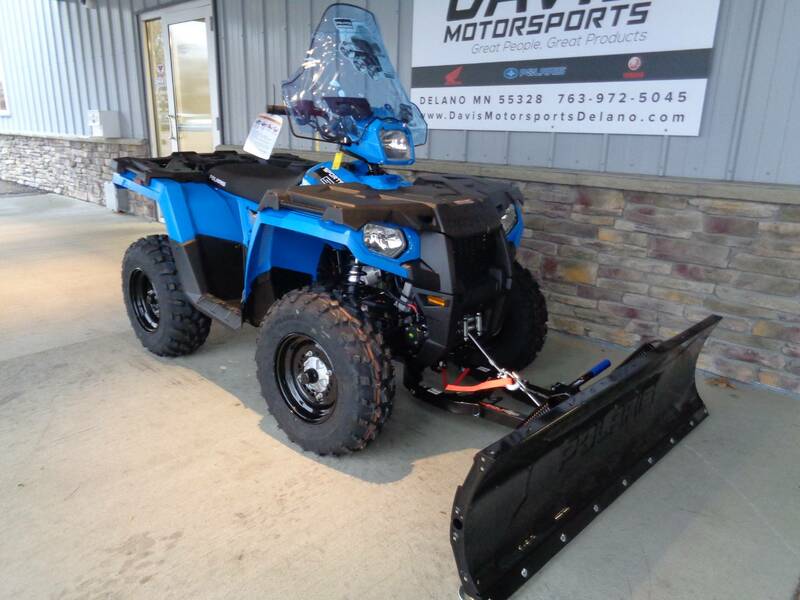 It features a Polaris 2,500 lb HD winch, 60" Glacier plow with frame and quick attach mount, Polaris lock and ride windshield as well as heated grips and thumb warmers. All professionally installed by our Polaris certified technicians. 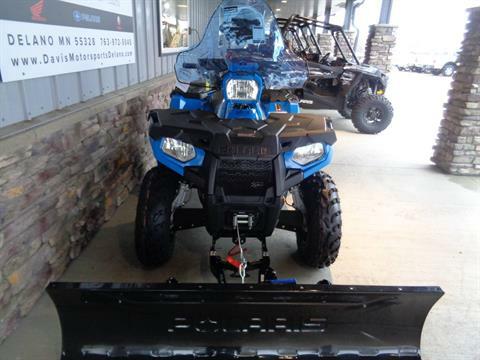 The Polaris electric power steering makes handling when plowing a breeze and smooth's out the roughest trails. 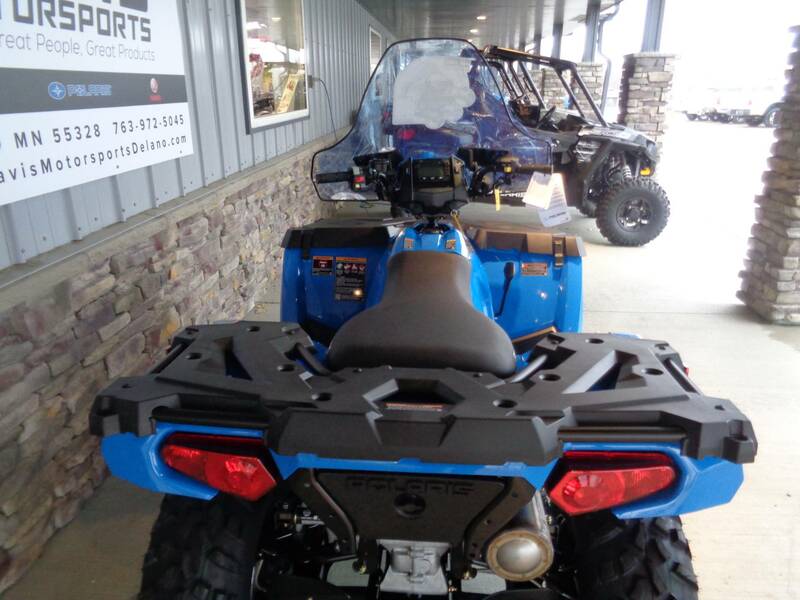 The Polaris Sportsman 570 is powered by a 570cc fuel injected, liquid cooled, 4 valve motor featuring 22% more power and a horsepower rating of 44!! Smooth as silk Polaris CVT transmission featuring hi and low range as well as park. True all wheel drive with shift on the fly electric controls. 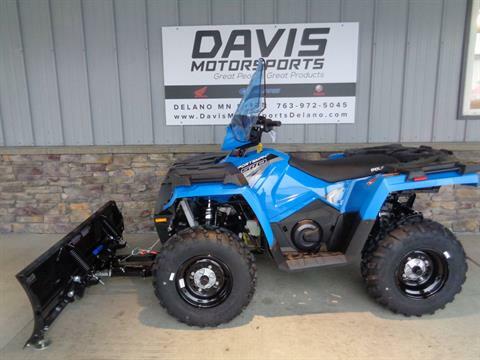 Independent rear suspension with 11" of ground clearance. Lock and ride rear rack. Comes standard with integrated storage in front rack. 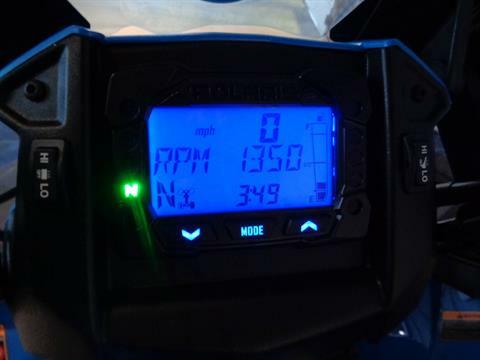 Sportsman's famous 3 headlight system, improved charging system, full digital gauges and an outlet for 12V accessories. 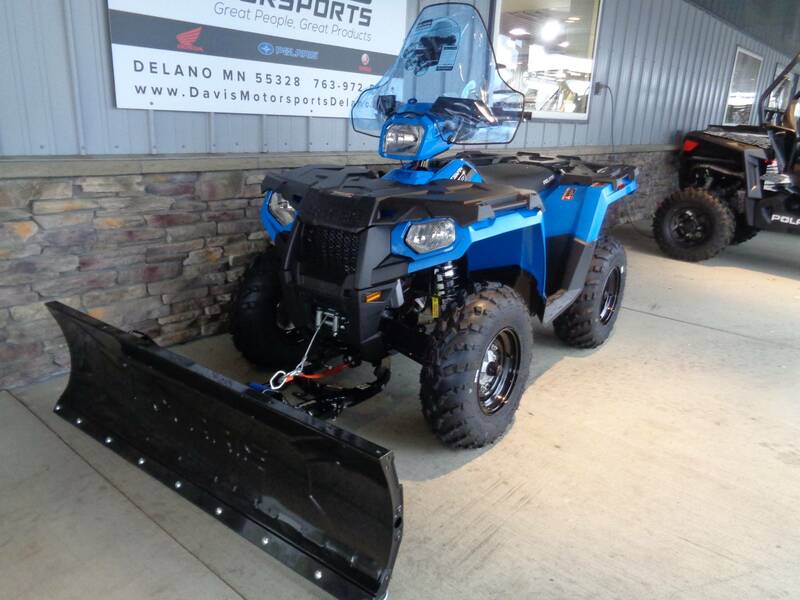 Great finance options! Price does not reflect applicable freight, tax and license fees. 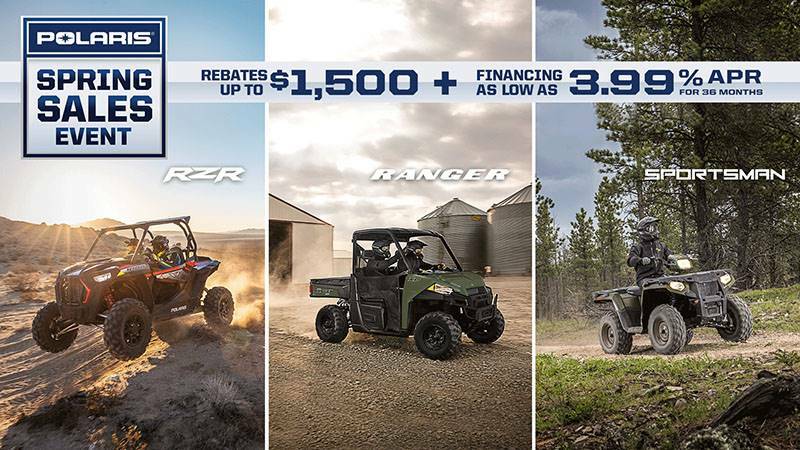 Price includes all current rebates and programs, rebates to dealer. 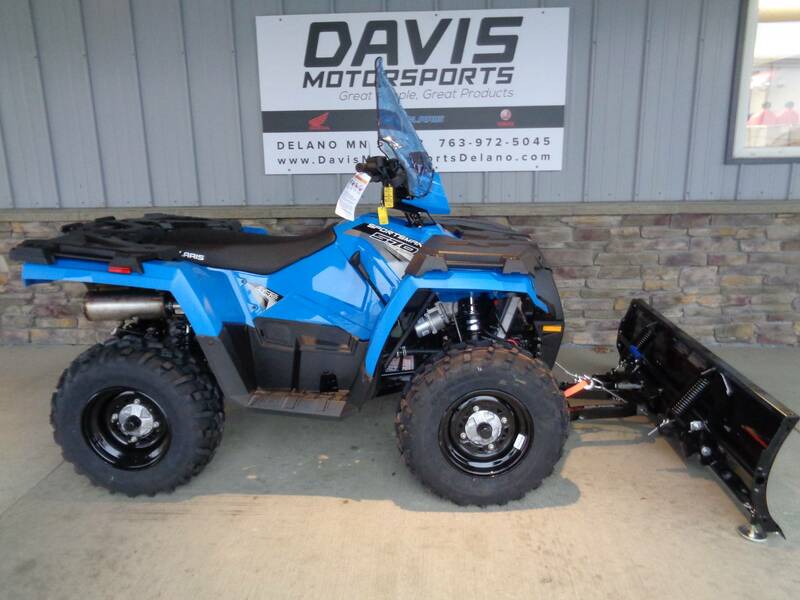 See all the Polaris products at Davis Motorsports in Delano.